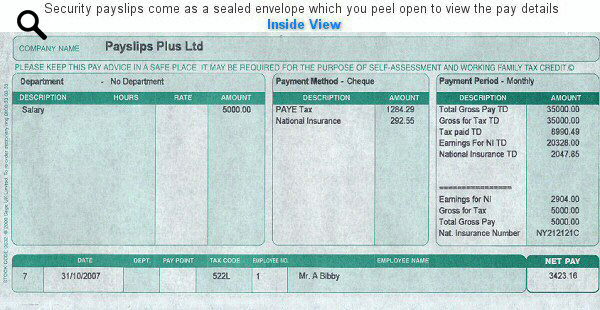 These payslips are printed on a dot matrix printer to the highest quality and will show: Pay and Deductions, Company Name, Your Name and National Insurance Number. 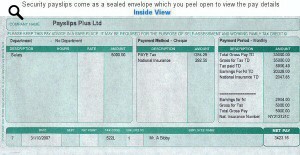 Each additional payslip is £5.50. 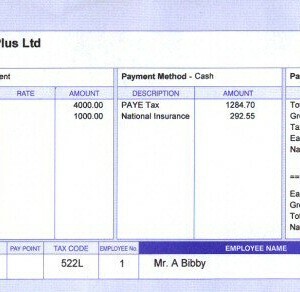 Minimum quantity for this payslip is: 1. Maximum quantity for this payslip is: 52. Use this box to provide any additional information about your order or if you have selected any extras then please give an explanation in the Additional Information section above. Category: Plus Payslips with Employee Address.